You no longer have to settle for boring or dull concrete these days with the amazing concrete staining techniques available to you from Knoxville Concrete Pros. If you've ever seen a glossy, colorful and extravagant concrete floor in a building or home it was most likely stained using either an acid or water based acrylic stain. These techniques have been developed over the years to allow you to have whatever colors and patterns you can imagine on practically any surface. Our contractors have years of experience applying and finishing different types of stains and have created many different projects for Knoxville area residents. Give us a call to chat with one of our experts to see if stained concrete would be right for you and we can schedule a time for a contractor to come out and give you a quote! Whatever it is that you're looking for with your new concrete stain will determine the type of stain required to get the job done. There are generally two main types of stains for concrete; acid-based and water-based acrylic staining. If you have ever seen a surface with a nice gloss but darker, earthier tones it was more than likely achieved using an acid-based stain. This technique has been around for ages and is an excellent way to transform the indoor flooring of a commercial building or even your home. The other type of stain, water-based acrylic, is what was more than likely used if you have seen more decorative and colorful staining. Unlike acid that chemically alters the composition of the concrete, the water-based solutions do not. You can use this type of staining to create colors like green, blue, orange and red which is why a lot of people get it for their home interior and exterior to accent any existing interior design they may have. 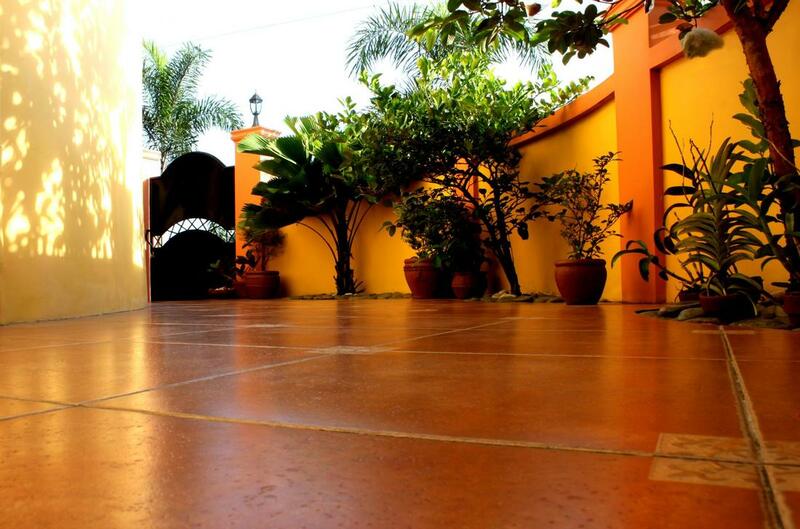 If you are considering adding any sort of decorative concrete to your property it is always a good idea to consult with a professional unless you have the experience yourself. A lot can go wrong when using different chemicals and solutions to achieve a different surface finish. Our professionals know everything they need to know to make sure the job gets done correctly and beautifully from start to finish. You can't just pour concrete then start staining it with whatever color you think looks good. You have to know how the different chemicals during the different phases of finishing will react with one another so you have the end result you truly anticipate! You can't go wrong when calling on the number one concrete service in Knoxville. We know more than anyone how important it is to leave your trust with a contractor that is licensed, bonded and insured. Whether its something seemingly simple like a concrete repair or a larger job like a driveway installation, there is a lot that can go wrong when working with concrete and you don't want your hard earned money at risk. There are many concrete companies in Knoxville but you will be hard pressed to find one with more dedication to customer satisfaction that we are. Give us a call today!